In addition to her children, she leaves behind two sisters, Jan (Karl) Lietzau of Oviedo, Florida and Nancy (Loren) Wolf of Traverse City. Her parents, Amanda (née Griesbach) and William Kroenke, preceded her in death. Bette attended Concordia University in River Forest, Illinois, and Valparaiso University in Valparaiso, Indiana. She was a member of Kappa Tau Zeta and active in university choir and drama groups. Bette taught and led by her gentle example. She always looked for the good in people—and often brought out the best in them. She will be dearly missed. Visitation was at the Beck Funeral Home Tuesday, April 16, with a prayer service conducted at 7:30 p.m. by the Rev. Kevin Jones. 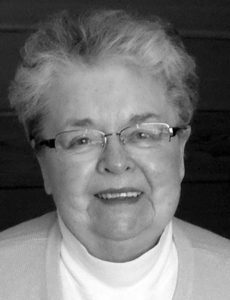 Visitation resumed at Peace Lutheran Church Wednesday until time of her funeral at 11 a.m. with the Rev. Derek Riddle officiating. ← Arthur “Art” F. Tulgestka Jr.